Three months ago, in this working-class port city 13 miles south of Napa Valley's rolling vineyards, cellphone video showed a white police officer conducting a traffic stop in which he drew his weapon and then tackled and handcuffed a black Marine veteran who was legally filming from his front porch. Attorneys for McCoy's family say he was shot around 25 times. Employees at a Taco Bell called police after they found him slumped over and unresponsive in his car in the drive-thru with a gun on his lap. After officers arrived at the scene, they discovered the car was locked and in drive. The officers were in the process of blocking in the car when McCoy woke up, and police said in a press release that he failed to listen to verbal and visual commands and was shot when six officers surrounding the car believed he was reaching for the gun. His family says the weapon was for protection, and police say it was stolen. 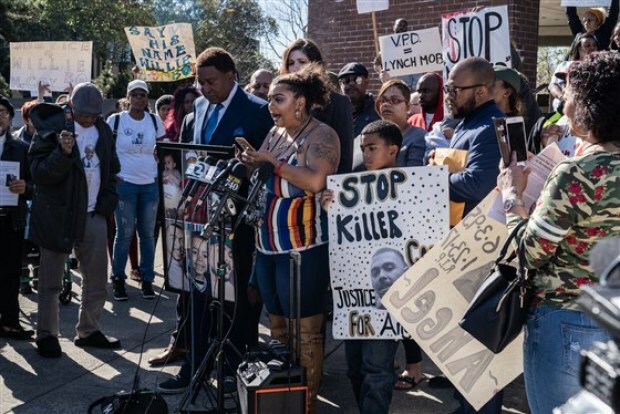 While the incident remains under investigation by the Solano County District Attorney's Office and the officers were returned to duty three weeks after the shooting, Vallejo police on March 29released bodycam footage after pressure from the family, saying they did so to "facilitate a community dialogue about the facts of this incident." A Solano County District Attorney's Office investigation ended last year with officials concluding that Jacobsen, who had been on the force since 2013, "acted lawfully" and he was "in reasonable fear that Angel Ramos was going to murder another person," according to their findings. The office also concluded that "it can be clearly stated that Angel Ramos was armed with a knife," although it was unclear where — either in the house or on the deck — he stabbed someone, according to the report. Alicia Saddler speaks outside City Hall at a rally addressing police shootings in Vallejo, Calif., on Feb. 28, 2019. Saddler's brother, Angel Ramos, was killed by police in 2017. 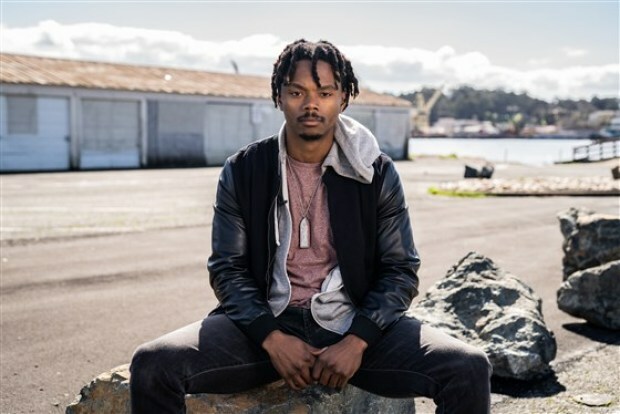 Filmmaker Adrian Burrell poses for a portrait in Vallejo, Calif., on Feb. 28, 2019.